Here is a list of activities I have to do, stuffs I must own and places I must visit. Hopefully, I get to cross out most of them before I marry! act in a play in short PERFORM!! send my niece, baby Meilee to MedSchool! own an S7 edge/iPhone 6s updating this to s8/iPhoneX!!! Dear self, see you have DONE something with your life already! 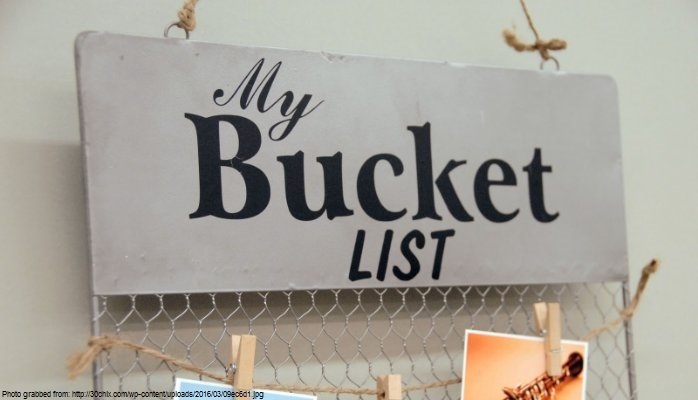 Don’t pressure yourself too much in crossing out this bucket list. Add as you wish. Remove if you must. But most importantly, ENJOY life!